The last minute yogi bear costume was a HIT, and so was Tobias’ costume. 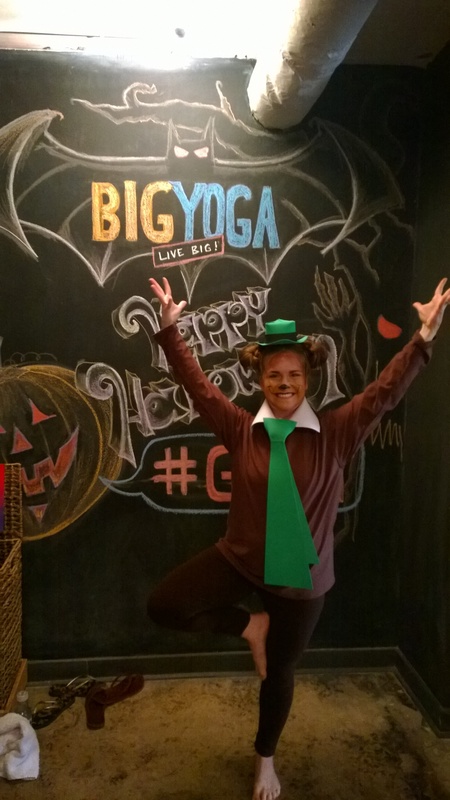 The contest at my yoga studio had a prize of three months of free yoga to the adult and the kid who had the best costumes. We won BOTH!! 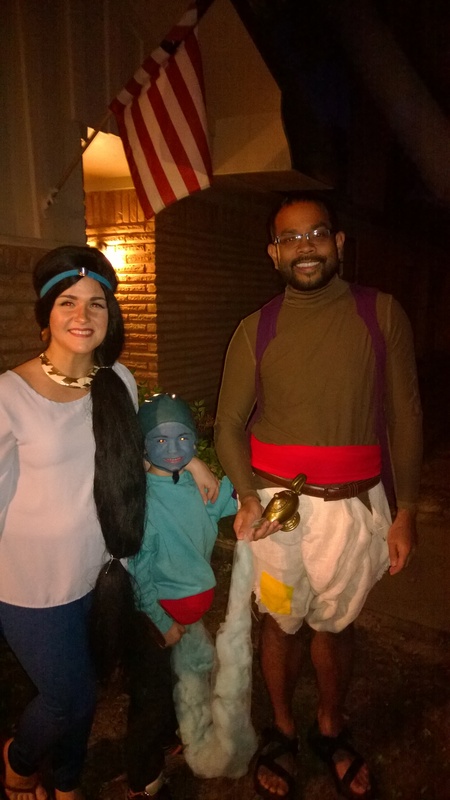 Winning a costume contest was on the bucket list, so…shwing! The practice that night was unforgettable as well. The creators of the studio co-taught the class, there was a DJ pumping out old school jams and hilarious Halloween tunes, and we were doing Halloween-related modified poses, like Thriller arms with crescent lunge and howling at the moon during utkatasana. IT WAS AWESOME. I did a headstand coming out of a crow pose for the second time during a class. The last time/first time that I did a headstand in a class, was during the 40 Days after party, where we practiced outside with a DJ and also did a lot of silly modifications to our poses. The more lighthearted and silly a practice is, the easier it is for me to feel grounded, get outside of my head, and commit to doing awesome new things on my mat. 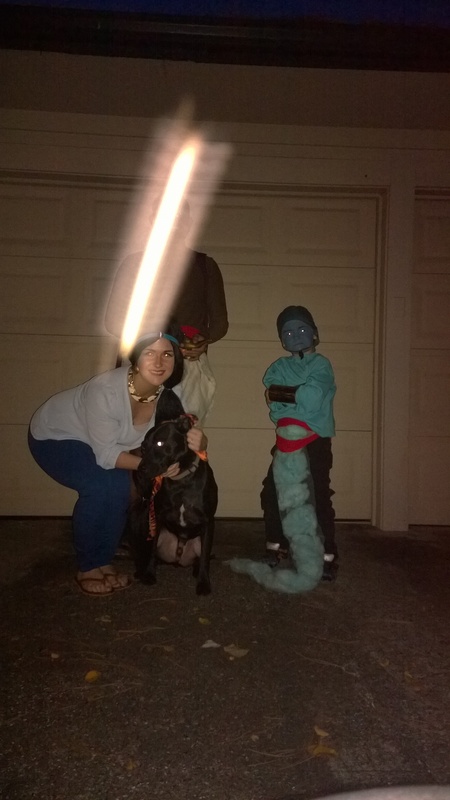 We had quite a bit of trial and error with taking pictures–our night had to begin a little later than usual. Tobias decided this year that he likes handing out candy more than trick or treating, and I decided that I’ll likely spend 1/2 the effort with our costumes next year. 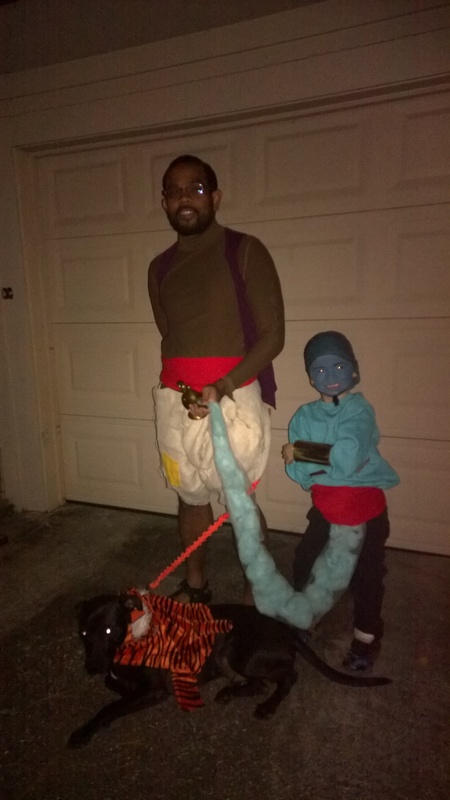 Not that I spent hours getting it together or anything–I just had a lot of other tasks that were put on the back burner, and I think it’ll be a better testament to our creativity if we use only things at home rather than costume store/thrift shop/craft store. ESPECIALLY if he’s only handing out candy. 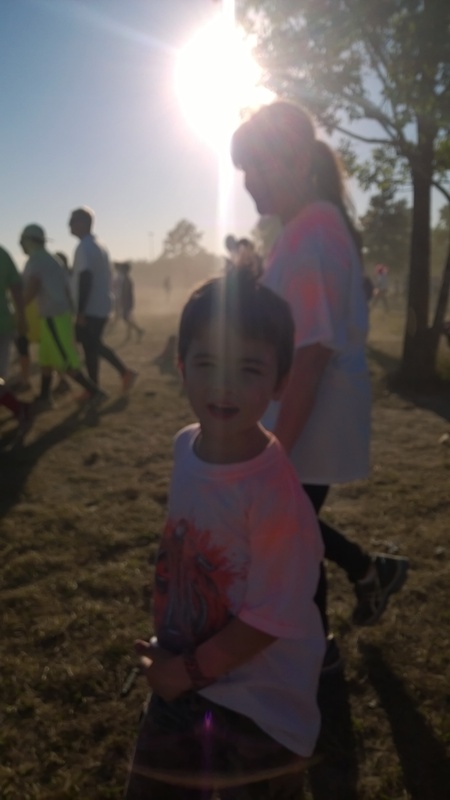 Saturday, Tobias, my mom, my cousin and I all went to a color run. 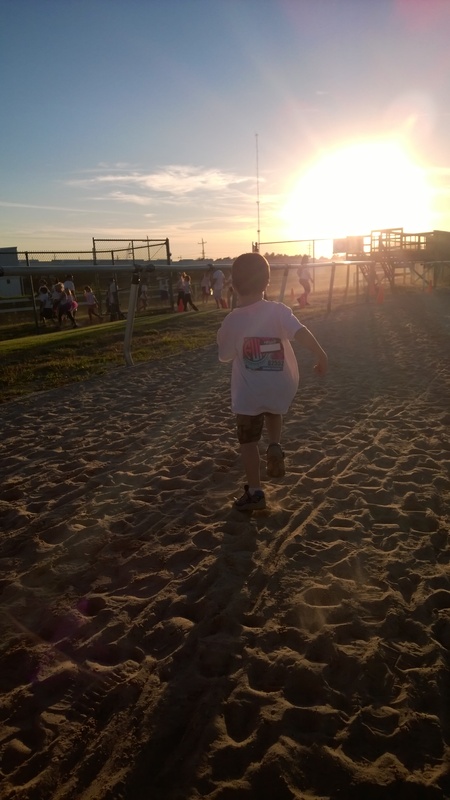 It was my first color run, and also my first “fun run”. 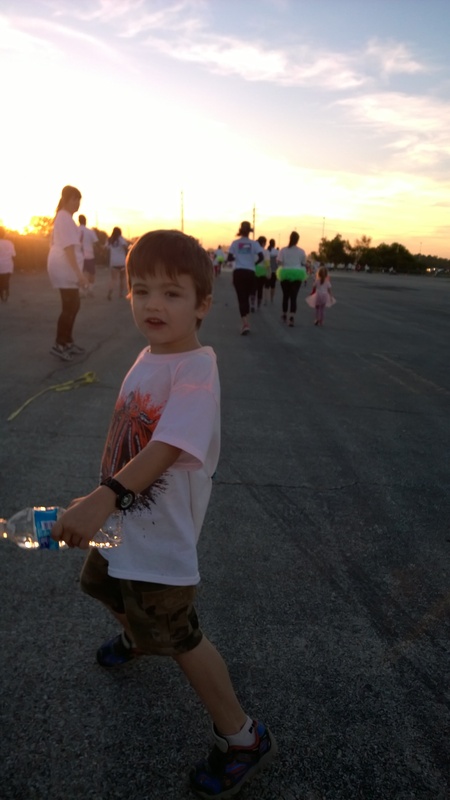 Tobias has done a few kid’s K races, but he was doing the whole 5k with us. Everyone there was walking. It wasn’t a race, and I found it wasn’t my style. Still had lots of fun, especially when Tobias was actually running–he’s quite the sprinter! We would weave through all the other people as we ran, and I’d shout, “Marco!” and he’d, of course, respond, “Polo!” so that I would know if he was getting too far from me, without staring at him the whole time. I thought it was a pretty clever way to not be a helicopter parent and still know where my kid was, and it was my favorite part. You should come to the Graffiti Run on December 7th!! It’s at the University of Houston’s main campus! The tickets are really cheap right now too- there’s a 50% off code, one is HALF OFF & REGISTER50. Try either code. Your pictures are wonderful and I LOVE ALL of your Halloween costumes!! 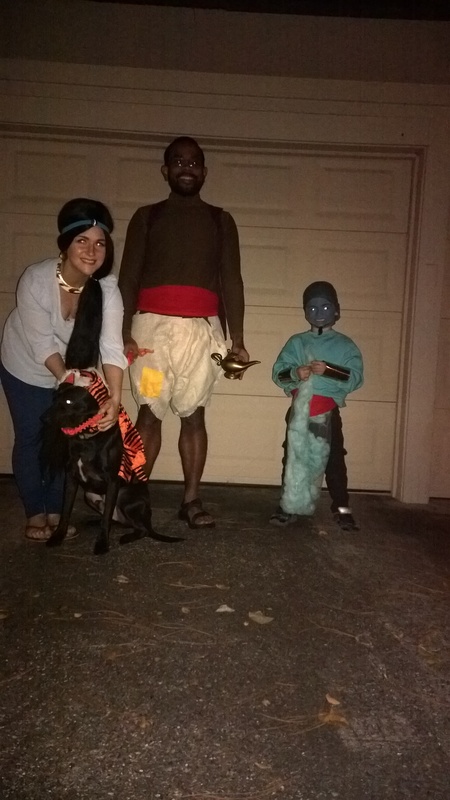 I love Tobias’ genie costume! SO CLEVER! Thank you, thank you! Wow, that race sounds like even more fun! I mean, CANNONS of color? Too cool. I probably won’t be able to make it though, I have a marathon the next weekend that I’m a little freaked out about. Let me know how it goes, though! What race is happening the following weekend?